This talk will feature personal stories from years of learning, reinventing, seeking one’s purpose, staying true and authentic to self and others, failing and falling, and then rising strong again. And keeping up a sense of humor. Dr. Rohini Srivathsa is the National Technology Officer at Microsoft-India. Her professional career has straddled business and technology for 25 years, across US, India and emerging markets. Rohini has worked in R&D at AT&T Bell Labs, in strategy consulting at BCG and IBM, and in a CTO role in financial services. She is passionate about the potential impact of technology on business and society, has multiple technical and business publications and is a frequent invited speaker. Rohini holds a PhD in Computer Engineering from the University of Texas at Austin and an MBA from the Wharton School of the University of Pennsylvania. The talk will essay my personal journey in India’s supercomputing scenario. It will describe the HPC initiation in India in early 90’s with PARAM & transputers and the present generation Supercomputers. The talk will share professional and personal challenges while growing in the interdisciplinary niche area of HPC applications. Opportunities in interdisciplinary HPC applications of societal importance will be presented. 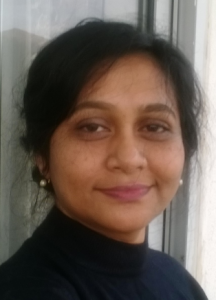 Ms. Akshara Kaginalkar is currently working as senior director (Sc G) in Centre for Development of Advanced Computing (C-DAC), a Govt of India R&D institute. She is leading the HPC- Sc&Eng applications group in C-DAC for weather, CFD, seismic data processing and hydrology applications. 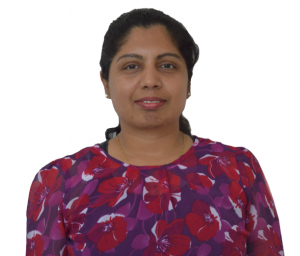 She has 27+ years of experience in parallel processing, numerical modelling and complex supercomputing based decision support system development. She has executed 30+ projects in HPC domain for commercial, R&D and data service applications. She has extensive collaboration with national agencies: Navy, IAF, DST, MoES, MoEF, IIT, ISRO, CSIR and international institutes: USEPA, University of Riverside, CA, USA, University of Iowa, USA, NCAR, USA, Purdue University, USA and ICTP, Italy. Akshara has mentored generations of HPC Scientists in C-DAC and advocates leadership opportunities for women technocrats. This talk will provide a perspective on Autonomous driving that includes the worldwide acknowledgment for need of Autonomous Driving(AD) Cars, Architectural requirements in AD Software and Hardware and certification requirements for Safety levels. It will delve inside typical workload pipeline that an autonomous vehicle would require. The talk will conclude by providing direction on opens problems and future research. Dr Krishna Paul is a Principal Engineer at Intel Corporation and has over 23 years of experience in embedded system Design, Research and Development. Her specialisation research areas have been Wireless MAC, networking and distributed algorithms and she led multiple generations of Intel product as architect in the areas of Low power System SW design and optimizations, Platform Security, Analytics and Machine Learning workload analysis for server optimizations, Audio/Voice/speech system architecture. Her work influenced media and cellular stacks of Intel SoC and operating systems, which shipped with millions of Intel products. Currently she is leading self-driving car architecture in the Intel Server group. Prior to Intel she worked as Senior researcher in NEC Networks laboratory in Germany, focusing on distributed system algorithms research and as Faculty of Computer Science in IIT Mumbai. She has over 25 IEEE/ACM publications, and served in several technical program committees. Krishna is a passionate advocate for Diversity technical leadership. Komorebi is a Japanese word that roughly translates to the sunlight that filters through the leaves, e.g. foliage of a dense forest, creating a beautiful interplay of light and shadows. Think of the imagery of complexities in the spatially encoded data, e.g. point clouds and complex networks, to be the thick foliage. In such a scenario, the data science methods personify the light that penetrates through the foliage to create data analytics, which is the beautiful creation. Visual analytics is one such creation. In my research, I constantly seek novel ways of bringing spatial relationships in the data out, to “re-package” data that feeds into visualization systems. These visualizations then become a part of the larger data analytic processes, collectively called visual Analytics. Now, think of yet another imagery of the obstacles in the path to STEM (Science, Technology, Engineering and Mathematics) careers as the foliage. Then, the interdisciplinary career paths that can penetrate through the thick foliage will create a level playing field in STEM careers, which is the beautiful creation. A career in visual analytics is one such creation. I began my professional training as an aerospace engineer and over time, diversified to a researcher in visual analytics. My professional journey until now is, however, not unique, given that multi-disciplinary careers are widely prevalent today. I believe that the non-uniqueness of such career paths is synonymous to the diversity in aspirations, which makes the playing field inclusive. In this talk, I will give insights to my research in visual analytics, and the challenges and opportunities in both research and practice. I will impress upon the diversity of data, disciplines, and skills involved in this field for researchers, practitioners as well as users; and on why I believe this diversity continues to have the power to make data science and computing more inclusive. 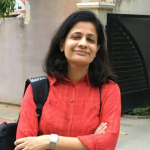 Jaya Sreevalsan Nair is currently a faculty member at the International Institute of Information Technology Bangalore (IIITB). She is an alumnus of the Indian Institute of Technology Madras, Mississippi State University, and the University of California at Davis. Prior to IIITB, she had worked at Enthought Inc. and the Texas Advanced Computing Center. Her research interests are in finding appropriate data models, e.g. tensors and matrices, for visual analytics, by exploiting spatial relationships in complex datasets. Some of her recent work includes geometric reconstruction from LiDAR point clouds, integrative analysis of multiplex networks, and collaborative design of health informatics dashboards. She leads the Graphics-Visualization-Computing Lab at IIITB (http://www.iiitb.ac.in/GVCL) and is one of the convenors of the E-Health Research Center at IIITB (http://ehrc.iiitb.ac.in). Parallel and distributed computing, algorithms or tools for improving code performance on multi-node clusters. *Submission deadlines extended due to several requests.